The address is 401 Rogers Street, Oak Hill, West Virginia. It's an ordinary house on an ordinary street. It has the look and feel of a house where you might just plant yourself, start a family, and make a kaleidoscope of memories. 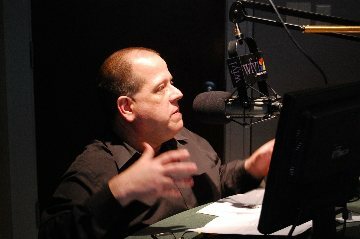 That's what happened, really, for Bill Renkovish, whose life at 401 Rogers Street made memories and miracles for those who surrounded him including Steven Adam Renkovish, his grandson and the indie filmmaker behind this experimental meditation on loss, grief, family, and memories. Renkovish was hard at work on his first feature film when it happened. On December 30th, 2018, Bill Renkovish passed away, a not entirely unexpected happening but still one of those eventualities that you can never quite prepare for no matter how much you know it's coming. That's the feeling one gets quite often during 401 Rogers, a 25-minute short film comprised largely of footage from various Super 8 and VHS home movies. These are the kinds of home movies that make you wish you were part of the Renkovish clan, a human family for sure with all its quirks and foibles and strengths and vulnerabilities, but a loving family at its very core and one to which Steven, known to most of his closest friends and family as Adam, remains incredibly close even when he occasionally laughingly acknowledges being a rare progressive in a more conservative family. 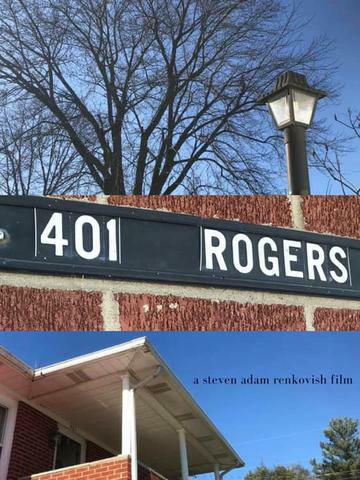 401 Rogers Street is an imperfect film, though you should probably expect that from a beyond ultra-low budget film, think about $50 here, that was made rather spontaneously over the past couple of weeks as Renkovish sought to cope with his grandfather's death and with the pending sale of his grandfather's longtime home. He knows that it's coming. He hates that it's coming. I mean, seriously. Making a perfect film about life's imperfections seems, well, incredibly flawed. In this case, imperfect is kind of perfect. 401 Rogers often feels like a home movie. It's occasionally in color, occasionally in black-and-white. It's occasionally pristine in its imagery, while other images rightfully look as if they've been pulled from a late 80's/early 90's Super 8 machine. There are scenes that make you chuckle, both for Adam and for the personal familiarity that rings from the universality of family Christmases and late night baking episodes. There are other scenes, especially if you know Renkovish's history, that practically fill the entire screen with melancholy, especially those involving Renkovish's brother, whose tragic death remains one of the filmmaker's darkest moments. Yet, through it all, 401 Rogers is filled to the brim with the life that Renkovish wishes so desperately to remember and to hold onto. Reunited with his beloved late wife Beulah, Bill Renkovish has left the place but the spirit with which he lived and loved remains alive in that home, a spirit that can never be completely vanquished and a spirit that lives on in the loved ones left to adapt to life without his physical presence. For most artists, creating art isn't just about making money though certainly making cash and winning awards is tremendously rewarding. Creating art is a way of living and loving and expressing and coping. 401 Rogers Street radiates the love of a grandson for his grandfather, the recognition that life moves on even when we don't really want it to, and the simple and very universal truth that for every silly little thing that separates us it's our lifetimes of living and loving and remembering that will always hold us together.